Please welcome Brenda – 0ne of my new guest reviewers. The highly anticipated, sensuous new blockbuster by the beloved, bestselling author of The Perfumer’s Secret. Alexandra Frobisher is a modern-thinking woman with hopes of a career in England’s famous chocolate-making town of York. She has received several proposals of marriage, although none of them promises that elusive extra – love. At the end of the war, Captain Harry Blakeney discovers a dead soldier in a trench in France. In the man’s possession is a secret love note, tucked inside a tin of chocolate that had been sent to the soldiers as a gift from the people back home. In pursuit of the author of this mysterious message, Harry travels to Rowntree’s chocolate factory in England’s north, where his life becomes inextricably bound with Alexandra and Matthew’s. Only together will they be able to unlock secrets of the past and offer each other the greatest gift for the future. Alexandra Frobisher was frustrated by her mother’s constant harping on her lack of a husband – with the war on there was a small respite as the three men who had been chosen as prospective husbands were at the front. But Alex knew she didn’t have long – she shuddered at the thought. Alex’s greatest wish was to work in the Rowntree chocolate factory in her home town of York; to learn the craft and make it her career. But 1915 was a time when young women of means didn’t work – marrying well and supplying grandchildren while supporting their husbands was what was expected. Alex desperately wanted more from her life. When Matthew Britten-Jones entered her life with a proposal which would suit them both, Alex was tempted. A witty and delightful man, Matthew knew how to make Alex laugh; he had her parents eating out of his hands – but was it enough? Alex knew she didn’t love him, and he, though affectionate, didn’t love her either. But the solution would solve Alex’s dilemma; her future would be assured. Captain Harry Blakeney returned from the war a changed man. He was determined to visit the Rowntree chocolate factory in York – his quest was to discover the identity of the author of a note of love he’d discovered while recovering bodies in France. The chocolate tin which had been sent to soldiers on the front in 1915 as a Christmas parcel had housed the note; in Harry’s search for the sweetheart of the lost soldier he met up with Alex and Matthew. But what would happen when their lives became bound in an inconceivable way and long buried secrets rose to the surface? The Chocolate Tin by Aussie author Fiona McIntosh is an emotional and haunting narrative which had me reaching for tissues a few times. 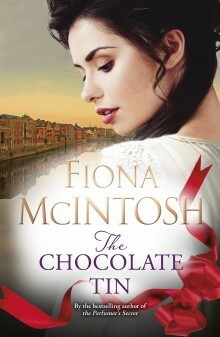 Blending mystery, intrigue and heartbreak with the historical romance of the times, the author’s ability to tell the story amid the depth of her research makes The Chocolate Tin an authentic and delightful read. A very highly recommended 5 star read from me. 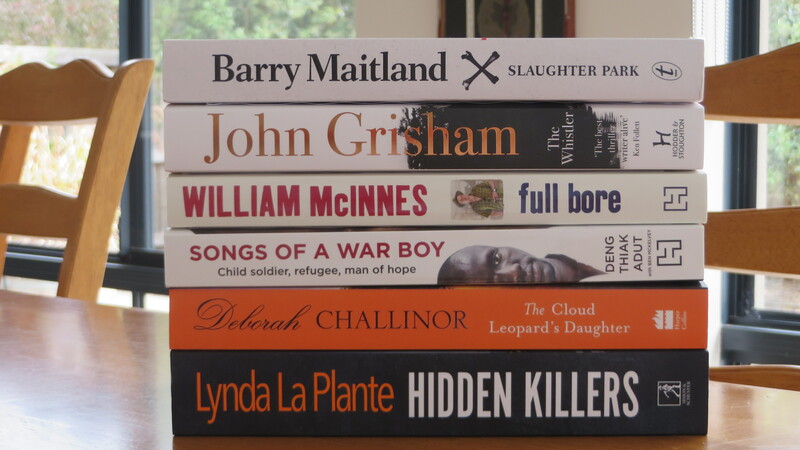 With thanks to Penguin Random House Australia for this copy to read in exchange for my honest review. I’ve always loved stories. It didn’t matter where they came from. Books, movies, or real life family histories. People intrigue me; I love trying to work out what drives them to behave as they do, what secret fears or desires influence the way they connect (or fail to connect) with the world. My great-grandmother used to tell me to always try and see the good in others, and her philosophy touched me deeply. In trying to see the good, I sometimes had to unravel quite a lot of bad, which taught me that everyone – even the dullest among us – are a lot more complex beneath the surface than they seem at first glance. Every person you meet is an untapped reservoir of emotions, relationships, fears and dreams and longings. It’s possible to know someone for 60 years at close proximity – a husband, say, or a sister – and you think you know everything about them there is to know. Then one day they take you by surprise, and you realise that you don’t know this person so very well after all. Who are they? How is it possible to have known them for so long, and yet not really know them at all? These sorts of questions actually keep me awake at night. Of course, there are no definite answers. That’s why it’s such fun to explore them in stories. By using a number of viewpoint characters and weaving two or three – or sometimes more – timelines together, I can create a patchwork of personalities, who each bring another layer of intrigue into the tale. I’ve always really loved ‘cold case’ mysteries, where a crime has remained unsolved for many years. It seemed only natural that my novels revolve around an unexplained crime. Going back and forth between different timeframes lets me tell part of the story through the eyes of the people most affected by the crime. This adds emotional weight to the mystery. If the reader gets involved with my historical characters, and comes to care about them and understand their motives, they’re more likely to respond to the emotional punch at the end when the mystery is solved. When you use a similar plot structure for several novels, and often explore related themes, making each new story different takes a bit of thought. Of course, character traits and backstories, settings, and the core mystery take each book along a very different path. But I also like to infuse all my stories with a distinct tone or mood. The best way I’ve found to keep the freshness alive from one novel to the next is by making an inspiration wall. For every new project I collect photos and postcards and pictures torn out of magazines. Each image in some way embodies the particular mood and atmosphere of the book I’m working on. For Beyond the Orchard, I had lots of stormy dark seascapes and tall castles shadowed by trees. I take snapshots of the TV and print out favourite characters from movies or TV series. I like group shots with interesting expressions and body language. I reinvent scenarios for them which helps me keep track of the relationships between my own characters. I stick all these pictures on my wall to create an enormous collage, and constantly refer to it while I’m writing. I also make a playlist of tracks that reinforces the mood I’m cultivating. For me, anyway, the tone or ‘feeling’ of each story is distinct. The mood board and music helps me to visualise the setting, but they also stir up the emotions I’m trying to portray. They help me feel more intimately in tune with my cast of characters and the mystery that links them. Lucy Briar has arrived home in turmoil after years overseas. She’s met her fiancé in London and has her life mapped out, but something is holding her back. Hoping to ground herself and find answers, Lucy settles into once familiar routines. But old tortured feelings flood Lucy’s existence when her beloved father, Ron, is hospitalised and Morgan – the man who drove her away all those years ago – seeks her out. Worse, Ron implores Lucy to visit Bitterwood Estate, the crumbling historic family guesthouse now left to him. He needs Lucy to find something– an old photograph album, the very thing that drove Ron and his father apart. Lucy has her own painful memories of Bitterwood, darkness that has plagued her dreams since she was young. But as Lucy searches for the album, the house begins to give up its ghosts and she is driven to put them to rest. 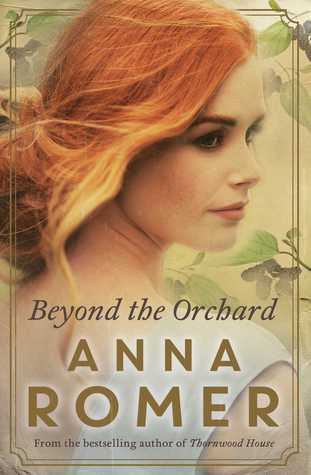 And there, held tightly between the house, the orchard and the soaring cliffs, Lucy uncovers a long-hidden secret that shattered a family’s bond and kept a frightened young girl in its thrall … and Lucy discovers just how fierce the lonely heart can be. 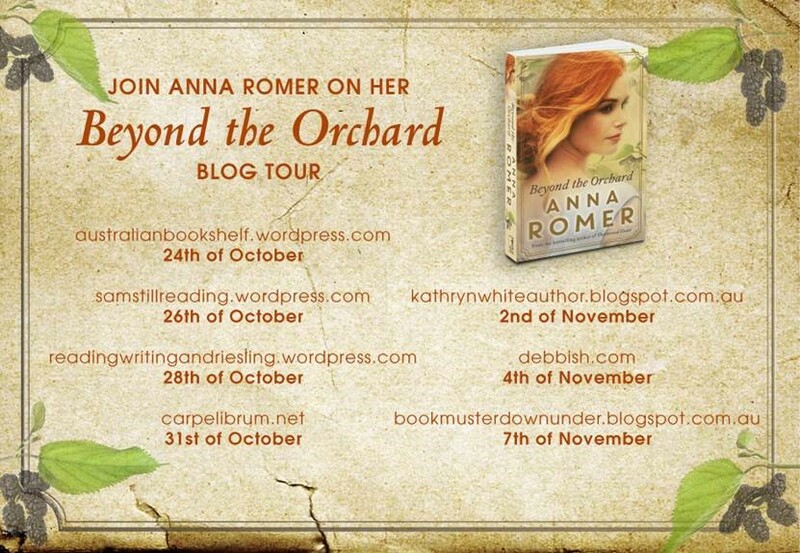 Anna Romer is a great story teller – I love the way she is able to transport me back in time to a landscape and way of life that has long since disappeared. The best passages in this book I think are the descriptions relating to the early 1930’s. Romer captures the harsh landscapes, the shipwreck, the rescue, the unique friendships and the social mores with pictorial honesty. I feel like I am looking down the lens of a camera when I read these chapters – the people, their day to day activities; their kitchen, jam making, cake making, meals… gardening, chores, isolation…trips into town, socialising…all come alive. What a great way to breathe life into history. Romer agilely jumps between 1930’s to the 1990’s with ease – the two histories slowly collide. Romer adds another level to this narrative with the addition of a gruesome fairy tale/ parable – slices of which she neatly folds into the script. I could not help but be reminded of Kate Forsyth’s Dancing on Knives – another mystery wrapped in romance edged with a brutal retelling of a fairy tale. Did you feel this connection? A multilayered read with a little something for everyone – intrigue, mystery and romance peppered with a fairy-tale and a history lesson. Enjoy. It’s 1966, and a mountain pygmy possum – a species that scientists considered to be long-extinct – is discovered in the Victorian High Country and transported to Melbourne where newspapers dub it ‘the world’s rarest creature’. Thirty-year-old Dr Katharine Wynter is a palaeontologist who’s more comfortable with ancient bones than live human beings, particularly men – an exotic species of which she has little personal experience, apart from a predatory professor who has made her working life hell. Having studied the tiny possum in fossil form, Katharine is curious to see it in the flesh, but her much anticipated visit is disrupted by the presence of wildlife photographer, Scott King, taking pictures for an international magazine. 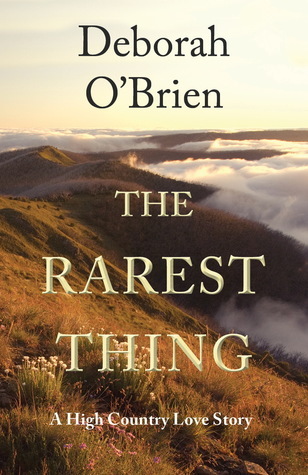 Before long, Katharine finds herself thrown together with Scott on a quest to locate the miniature marsupials in their habitat – the rugged Australian Alps. Along the way, the timid scientist discovers a side to her character she never knew existed, while the dashing photographer abandons his bravado and confronts memories he’s hidden for decades. For this review I will try something a little different – I will start with the cover and work through the elements of the book I enjoyed – and I did enjoy this read. To begin with I was approached by the author Deborah O’Brien to see if I was interested in receiving a copy of her latest book and perhaps reviewing it on my blog. This began a series of communications where I was introduced to the lovely Deborah, her new project and the mountain pygmy possum. As a book reviewer and blogger there is nothing more pleasurable than establishing a working relationship with an author. Relationship established I will now commence my review. “Looking along the Blue Rag Range towards Mt Hotham, the inside front and back covers: Wildflowers at Blue Rag Trig with Mt Feathertop in the background.” This is the special gift edition paperback with a 360 gsm cover (which won’t curl), coloured endpapers and other non-standard features. (It is also be available as an eBook), though you won’t get the same depth of vision with an eBook copy. This cover is stunning and allows the reader to imagine themselves into the setting of the book, Victorian High Country. The next page – the author states this book is inspired by a true event – “the discovery of a creature thought to be long extinct. 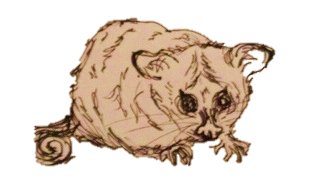 It was such a big event at the time that the Guinness Book of Records featured the mountain pygmy possum as ‘the rarest animal on Earth’ in its 1967 edition.” (Author’s correspondence). And prefaces the prologue with this quote by Oscar Wilde: “To live is the rarest thing in this world. Most people exist, that is all.” I was primed to read this book, to immerse myself in the isolated natural settings and all things 1960’s. And what followed was totally unexpected. The prologue, set in Sydney 1941 details a rich and loving relationship between a father and his young daughter (the protagonist, Kathy, as a child). Here the father plants the seed that the daughter can be anything she likes, even a palaeontologist (and don’t forget this is 1941 – such ambitions for a woman were unheard of). I loved the relationships described in this opening – there is love, laughter, respect and mutual admiration and support. Further, the elements of family, conservation and feminism are subtly woven into the prologue and are to become important themes in the narrative. For me the overarching theme in this narrative is one of the feminists’ struggle for equal opportunities in education, the workplace and …life and relationships in 1960’s and beyond. O’Brien exposes some heartbreaking criminal behaviour in this novel (no spoilers here)…sadly behaviours like this have not been eliminated in our so called enlightened age. (See Zoë Morrison’s Music and Freedom for more on this theme). So despite the sumptuous cover, the elegant introduction and the heart-warming scenes of family in the early pages, this narrative has a dark core that will surprise you. There are plenty of meaty issues within these pages to affect the discerning reader and a number of twists and some references to an unreliable narrator that will keep you on your toes. This is a surprising read; at times it reads almost as a journal, private and personal. Yet the narrative is larger than just the personal, this multilayered drama is peppered with pop culture references, history, conservation, social issues, isolated beautiful settings and is written with a feminist bent. This is a story that will fully engage you, surprise you and at the same time shock you as family secrets are revealed. A most enjoyable read. 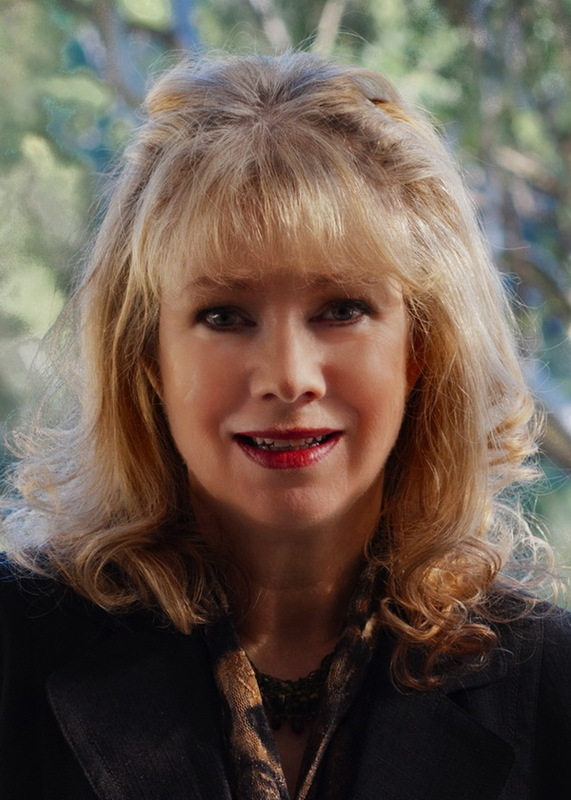 Thank you Deborah O’Brien – it has been a pleasure to discover your writing.